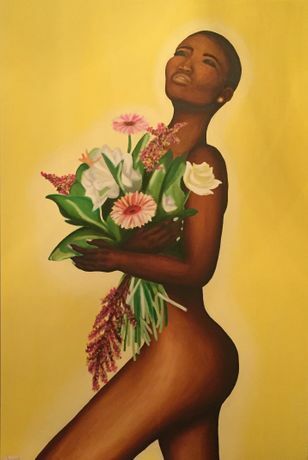 Female artist, Karima Alexander debuts her solo exhibition at The Tabernacle, W11 ! BLOOM illustrates the artists growth as a young woman and artist. Following on from her first series, SHE which depicted herjourney to self-love; BLOOM explores the beauty of women alongside flowers and indivudually embellished beads, to illustrate how we as people grow and flourish.